If our major appliances could talk, they would likely do a lot of complaining! After all, we expect appliances like our air conditioner and furnace to be on call for us 24/7, working hard for months on end without a break! We scarcely acknowledge their existence—unless something breaks down. Then we are all eyes and ears and willing to do whatever it takes to get them back to work again. That’s a pretty rough job under some pretty stressful working conditions! 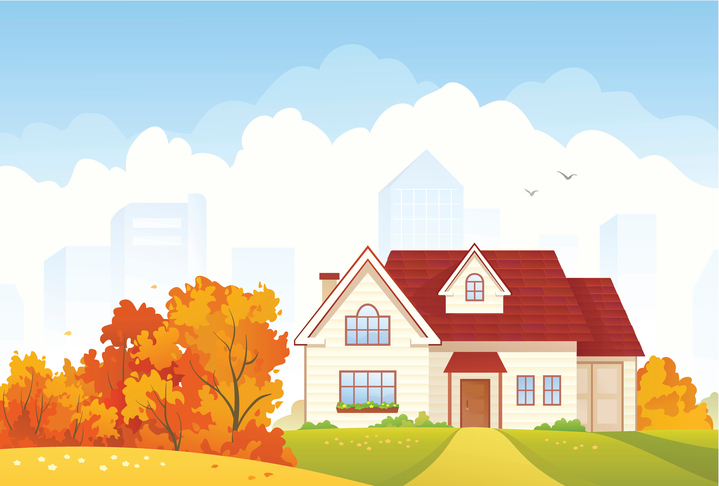 As fall arrives and winter soon after, your air conditioner is finally winding down after a summer of nonstop work and your furnace is just gearing up to take over for the cold season. If you’ve ever wondered what your furnace would say if it could talk, this post will answer that question! Your Furnace Really Doesn’t Want to Catch Fire! After cooking fires, guess which major appliance is most frequently implicated in house fires throughout North America? If you guessed “furnace,” you are correct! The truth is, sometimes house fires really aren’t the furnace’s fault, as this truly sad story illustrates. Simply storing something flammable near your furnace can be enough to cause a house fire. But in many cases, it is the furnace itself that causes the house fire, and the furnace doesn’t necessarily have to be old to be a fire risk. A poorly maintained new furnace can be just as dangerous to your home and family. The pilot light flame is wavy or pale yellow in color (it should be steady and blue). There is rust or corrosion on the furnace unit itself. You see a buildup of soot or discoloration near the vents or burner access door. Surrounding vent work or pipes are rusted, broken or soft. As the story in the previous section illustrates, keeping your furnace and the surrounding areas clean and free from debris is critical. Even more importantly, it could save your life as well as all the spare cash in your bank account! Another perk of keeping your furnace housing and components clean and clear of dirt, dust and debris is that this gives you a chance to get a good close look at your furnace to catch minor maintenance and repair issues before they become major and potentially dangerous. Unless you have a background in HVAC maintenance, it is often safer to call in the pros to poke around inside your furnace to look for those small repairs that can make all the difference. As you learned earlier in this post, clogged, dirty filters are a major furnace fire risk! At some point, a filter can get sufficiently weighed down with debris that it cannot absorb any more. This causes that same debris to begin building up in the inside of the furnace itself, where extreme heat and sparking can quickly lead to a fire. As well, the dirtier your furnace filter gets, the more money you will spend on energy to run your furnace. This is because your furnace must work harder to push the temperature-controlled air through the congested filter and out into your air duct system. Yet another hazard of dirty furnace filters is toxic indoor air. As your furnace strives to push air out through the filter and into the air ducts, it will take some of that trapped debris with it, pushing that back out into your air supply. As you breathe in these escaped airborne toxins, this puts additional pressure on your respiratory and immune system and ultimately makes it easier for you to get sick. As we mentioned in the previous section here, a dirty air filter can make its displeasure known in several ways, not the least of which is through your mysteriously escalating energy bills. Your furnace can contribute to increasing energy costs in other ways as well. One particularly costly repair issue that can be hard to catch is thermostat malfunction. When your thermostat is not properly calibrated, it can send the wrong instructions to your furnace, causing it to work harder than it needs to and sending your costs skyrocketing. Another costly and common furnace repair issue is simple component wear and tear. Small parts wear out or break; there are ongoing problems with the burner ignition in a gas furnace; the connection is weak or frayed in an electric furnace; the blower belt and blower are beginning to malfunction; and so much more. Most of the time, simple tweaks like tightening, calibrating, lubricating or even replacing small parts can not only extend the life of your furnace (not to mention keep your warranty valid for newer furnaces) but also reduce your winter energy bills and keep you safe from home fires. Here at Shipton’s Heating and Cooling, we have nearly a century of expertise installing, repairing and maintaining all makes and models of air conditioners and heating systems. Our time and money-saving Preventative Maintenance Protection Plans are designed for furnaces at every stage of their useful life cycle. And our famous 24/7 emergency repair service is available to all! Are you ready to give your furnace the time and attention it needs to do an outstanding job for you this fall and winter season? Contact us online or give us a call to schedule your annual inspection and preventative maintenance service at 905-549-4616.